Due to the lack of knowledge, one mistake many people make when they are using a toilet is they think that sanitary items like cotton buds, baby wipes and other trash are just small items that can be flushed away and that it can be removed in the wastewater treatment facility. 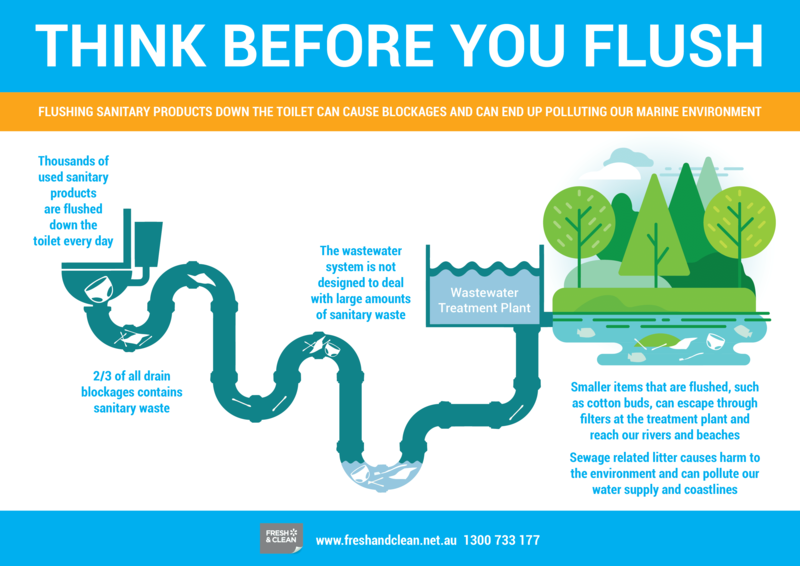 But this is not the case because this act is damaging sewer pipes and our marine environment. 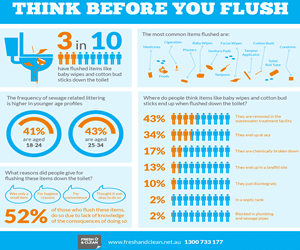 Stop flushing wrong items! 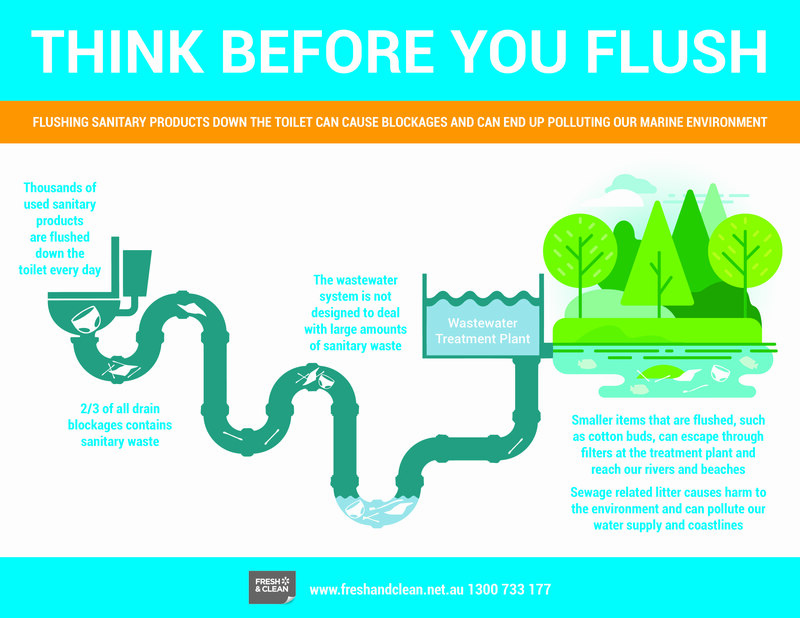 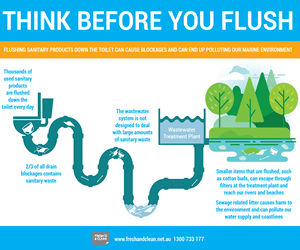 Fresh&Clean’s ‘Think Before You Flush’ poster and infographic is an awareness that reminds and encourages people to change the toilet habit of flushing sanitary wastes without thinking of the consequences. It’s free, so download and print all you want! 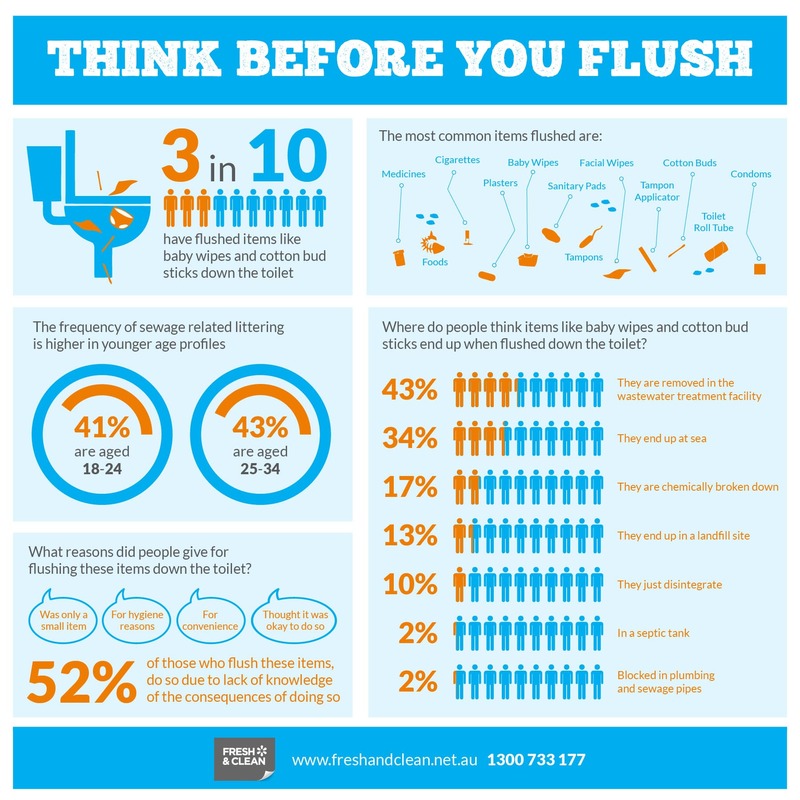 Post it in visible toilet areas, bathrooms and washrooms today.